Early bird special and fees are $25 per paddler and $5 for each passenger from March 1 through April 22. Passenger fees for the Minithon and No Contest classes remain at $5 per passenger. 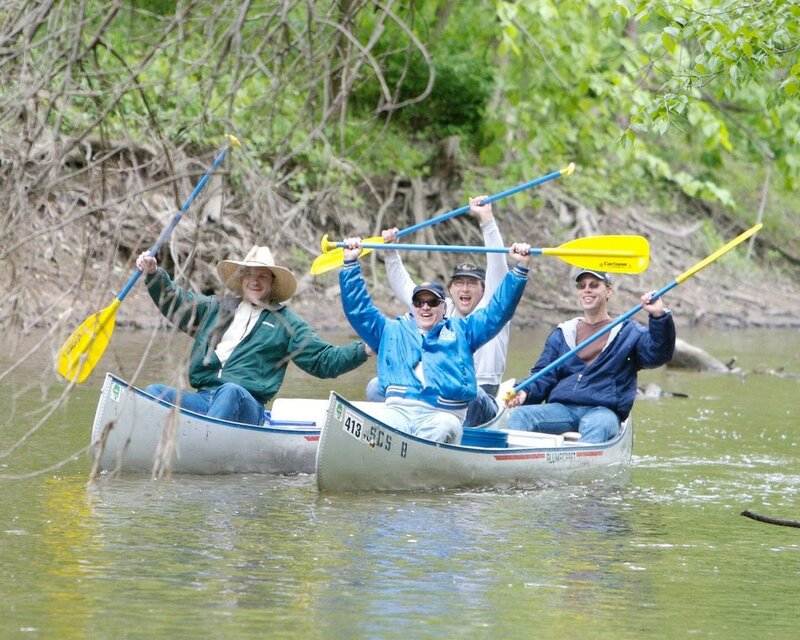 Race Day registration fees are $35 per paddler, $5 per passenger, check or cash only. T-shirt: $7 pre-paid in advance at time of online or mail-in registration. T-shirt can be picked up at Finish Line. Participants who register the day of the event are not guaranteed a collectible patch or t-shirt. If extras are available, a free patch may be picked up at the Finish Line and a t-shirt may be purchased for $10, sizes not guaranteed. personal risk and personal responsibility by participating. information and event rules at this link: Safety/Rules. at the discretion of the race officials. The online registration process provides a request check box for teams indicating their wish to paddle in the same heat. If registering by mail, teams wishing to race as a group must send their entry forms in the same envelope.